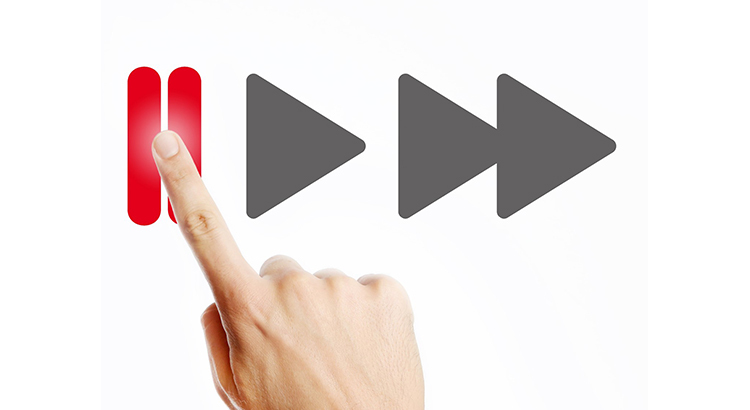 Are Homebuyers Starting to Hit the ‘Pause’ Button? For the last several years, buyer demand has far exceeded the housing supply available for sale. This low supply and high demand have led to home prices appreciating by an average of 6.2% annually since 2012. With this being said, three of the four major reports used to measure buyer activity have revealed that purchasing demand may be softening. Here are the four indices, how they measure demand (methodology), what their latest reports said, and a quick synopsis of the report. Methodology: Every month SentriLock, LLC provides NAR Research with data on the number of properties shown by a REALTOR®. Lockboxes made by SentriLock, LLC are used in roughly a third of home showings across the nation. Foot traffic has a strong correlation with future contracts and home sales, so it can be viewed as a peek ahead at sales trends two to three months into the future. Synopsis: Buyer demand remains strong. Methodology: The ShowingTime Showing Index® tracks the average number of buyer showings on active residential properties on a monthly basis, a highly reliable leading indicator of current and future demand trends. Methodology: The REALTORS Confidence Index is a key indicator of housing market strength based on a monthly survey sent to over 50,000 real estate practitioners. Practitioners are asked about their expectations for home sales, prices and market conditions. Methodology: Proprietary survey results of real estate executives. Again, three of the four most reliable measures of buyer activity are reporting that demand is softening. We had a strong buyers’ market directly after the housing crash which was immediately followed by a strong sellers’ market over the last six years. If demand continues to soften and supply begins to grow (as is projected to happen), we will return to a more neutral market which will favor neither buyers nor sellers. This “more normal” market will be better for real estate in the long term.